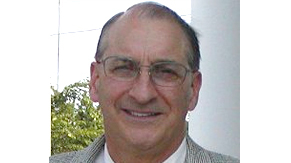 Co-founder and treasurer of CysticFibrosis.com, Peter Barnett is a veteran of the Vietnam conflict, husband of Jeanne Barnett and a Doctor of Physical Therapy. Peter is a graduate of University of Vermont, Columbia University and Simmons College. Peter has had a private physical and occupational therapy practice in New Jersey since 1977, www.suburbantherapy.com. Peter is an Orthopedic Clinical Specialist and a master clinician. In addition to his musculo-skeletal knowledge, he has expertise in posture and TMJ (temporomandibular joint disorders). He was the original founder of cysticfibrosis.com and continues to be its most enthusiastic backer. He keeps ground in his personal faith as a Deacon at Marble Collegiate Church in NYC, the home of Norman Vincent Peale and the Power of Positive Thinking.